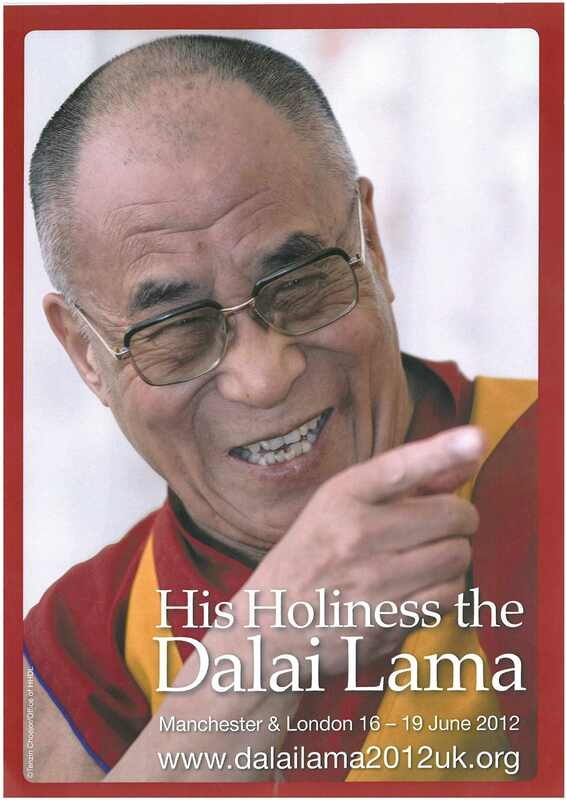 Tibet House Trust is delighted to announce that His Holiness the Dalai Lama will be visiting the UK from 16th to 23rd June 2012. The key themes throughout the visit will be the promotion of His Holiness’ message, particularly to young people, of non-violence, dialogue and universal responsibility. The visit will start in Manchester on 16th June with an event with His Holiness, especially for young people followed, on 17th and 18th, by a Public Talk and three sessions of Buddhist teachings. On the 19th June there will be a Public Talk in London and then His Holiness will visit Scotland on 22nd and 23rd. The Box Offices for Manchester Arena and the Royal Albert Hall, London will open mid March. This website will be kept updated as details of the programme are confirmed. This entry was posted on January 16, 2012 at 7:32 pm and is filed under Buddhist meditation, Dalai Lama, News, Teachings. You can follow any responses to this entry through the RSS 2.0 feed. You can leave a response, or trackback from your own site.